Germany, c. 1820. Pedestal shape in beidermeier style. The base, circular, has three sea serpents that support a spherical knob. With eight oil fonts and original servant lamp. Exhibited spertus museum, chicago, march 1985 “symbols of faith”. 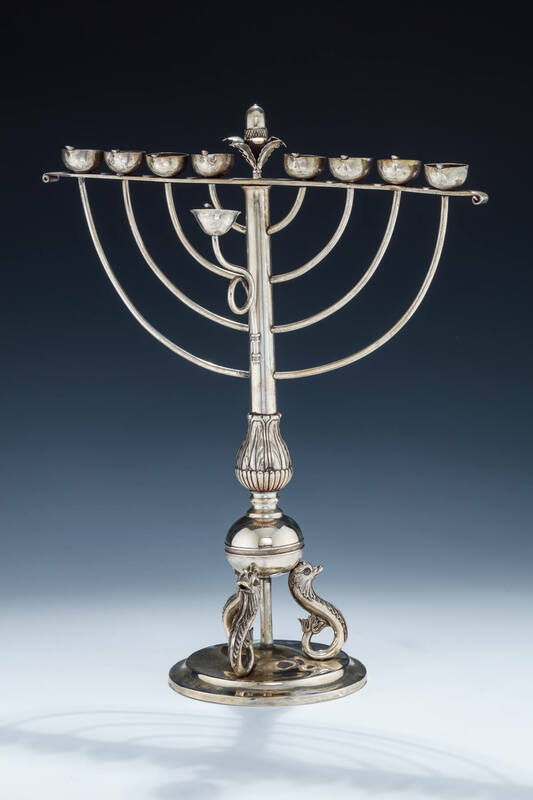 Exhibited charach-epstein museum, detroit, 1992 “feast of lights” published and pictured in jay weinstein’s “a collector’s guide to judaica” 1985. 15” tall.